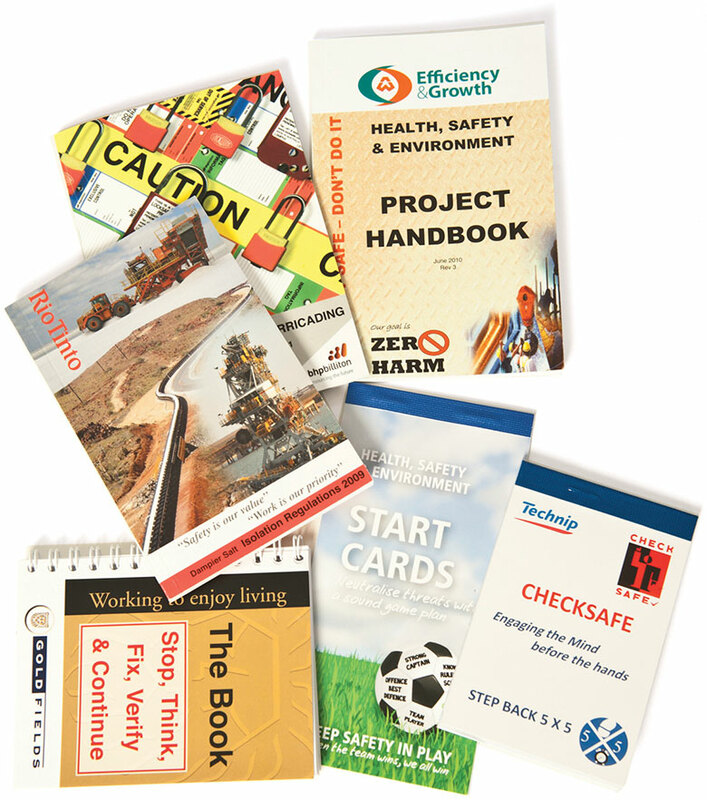 The OH&S manual is a safety management system which sets out general policy and procedures in a number of areas such as: Drug and alcohol, fatigue management, confined spaces, hot works, lock out/tag out procedures, smoking etc. 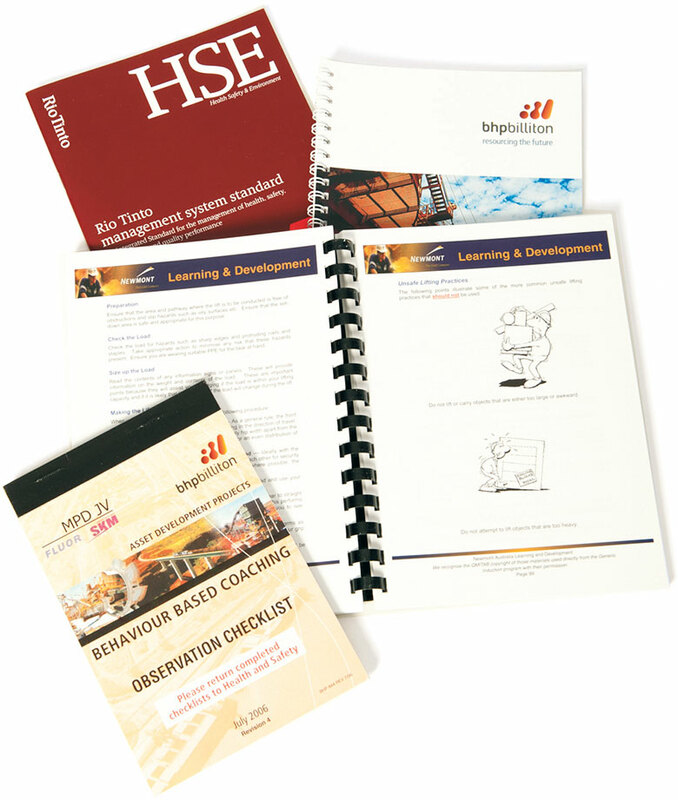 At B & S Printing, we have been printing general procedural manuals, induction manuals and in particular OH&S manuals for the larger mining companies for many years. 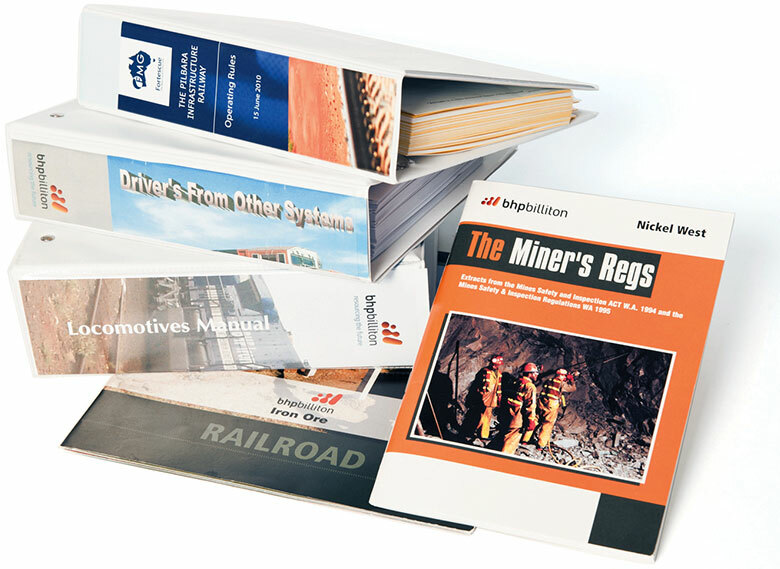 These manuals vary in presentation, size and complexity, and depending on the user, they are also printed on synthetic paper to try and extend the service life due to harsh conditions on remote sites. A pre-start inspection checklist is critical for ensuring the safe operation of your plant and machinery. Pre-start checklists are essential to ensure that employees and contractors assess all aspects of the equipment and workplace environment and greatly reduce accidents on work sites. At B & S Printing, we have many examples and can help with creating detailed checklists for your operators. 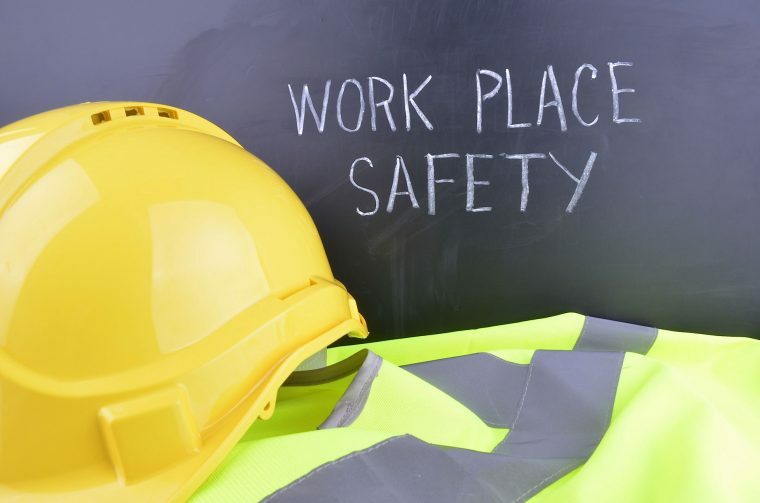 The JHA is a safety management tool in which the risks or hazards of a specific job in the workplace are identified and then measures to eliminate or control those hazards are determined and implemented. We have many examples of JHA’s which we have printed over the years. They can be numbered and done as duplicate copy pads or just as simple one copy forms. They can also be in book form with other information printed on the inside of the covers such as instructions and risk matrix tables. Permit to work systems are used to control workers, visitors and anyone else who is involved in potentially hazardous tasks on the work site. Work permits ensure a risk assessment has been completed and therefore help reduce the potential for accidents in the workplace. It is a standard requirement that all injuries, incidents and hazards are properly reported, investigated and acted upon. The forms should be designed to be easily used and understood, while also acting as an accurate recording of the details of an incident. The reports we design and print can range from simple pocket-sized forms for hazard reporting up to A4 and A3 multi-page forms for documenting the entire investigation and notification process after an incident. Safety labels are a crucial tool in helping to keep a safe working environment. Depending on the application we can print the self adhesive labels with special UV resistant inks which helps to withstand external work site conditions. They can be printed on flat sheets or on rolls depending on application. We also can provide reverse printed labels for vehicle windows. Safety awareness posters and graphics are the best way of informing staff of any relevant safety and health issues around the work site.